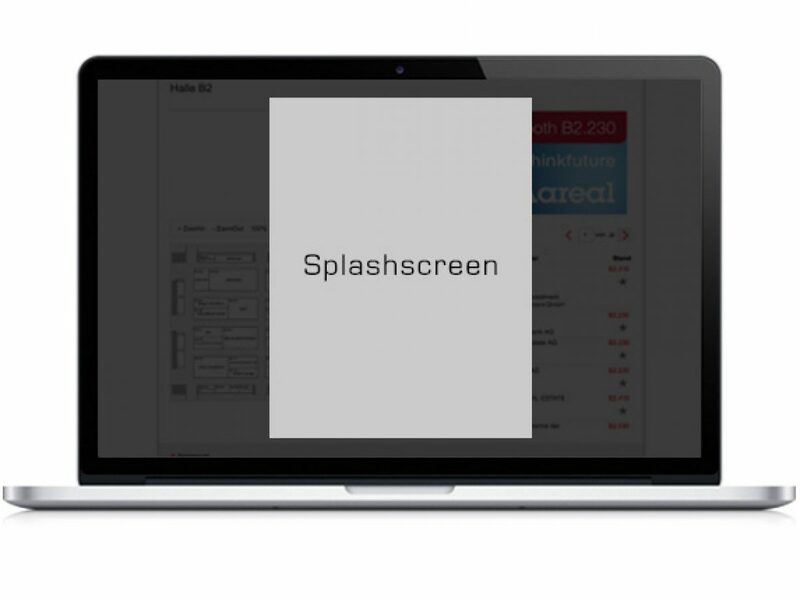 Stand out with prominently placed ad formats in four digital channels. 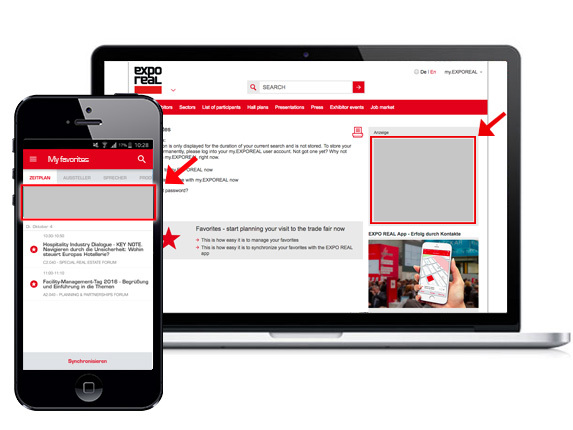 The multichannel advertising makes an appearance on the EXPO REAL website, in the online catalog, the EXPO REAL app as well as in the visitor emailing and provides maximum visibility and exposure for your content. Benefit also from an attractive price advantage. 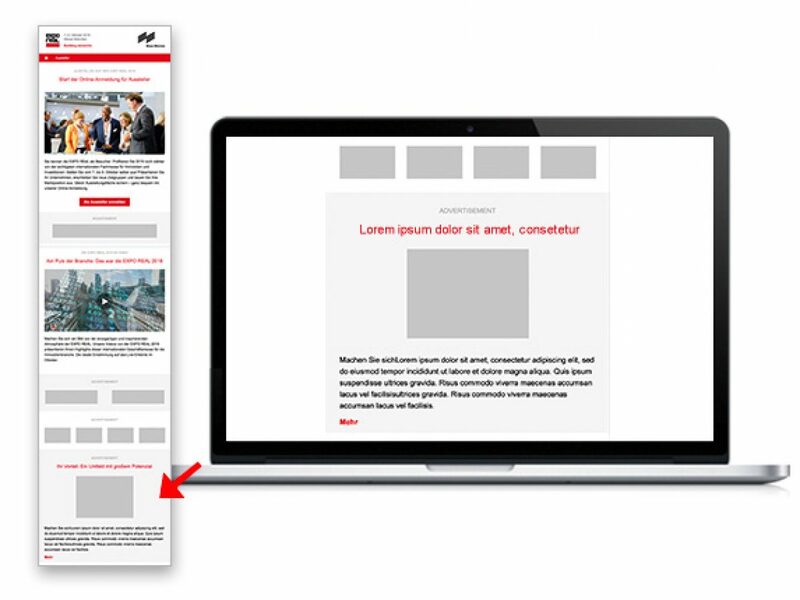 * Please note that some of the content pages are excluded from publication. To awaken the interest of potential new business partners, you can book a banner, with persuasive advertising copy, in the online catalog and in the EXPO REAL app. 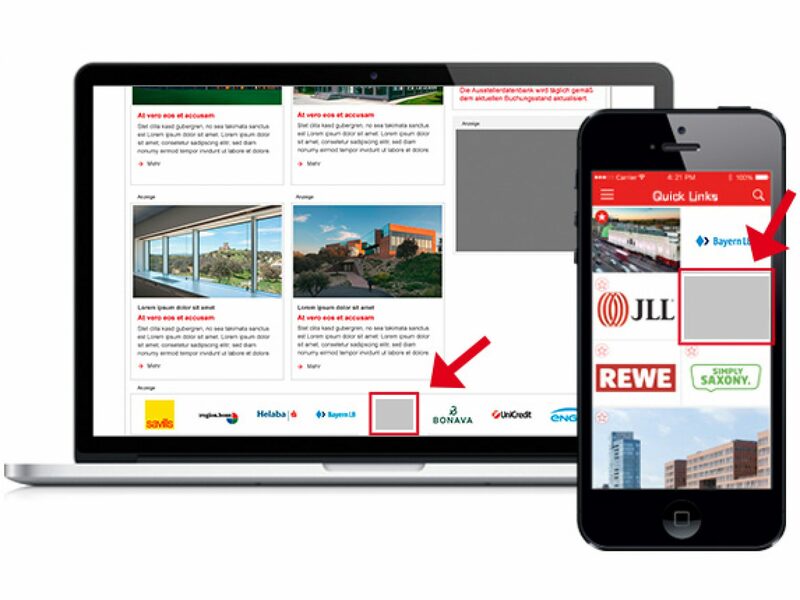 Targeted advertising in the list of participants or in visitors’ favorites lists also gets your company noticed. Increase your quality contacts with the list banner. 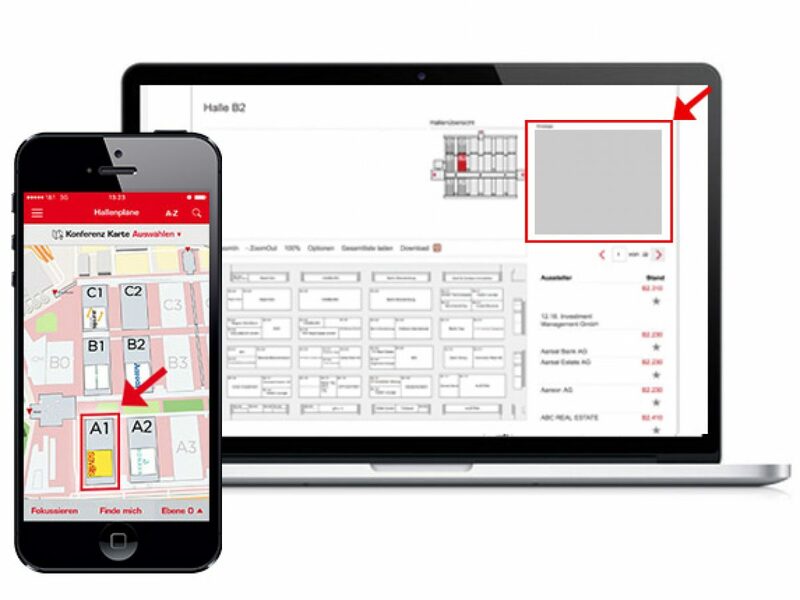 It is published in often-used categories of the app, such as the list of exhibitors and the presentation overview. 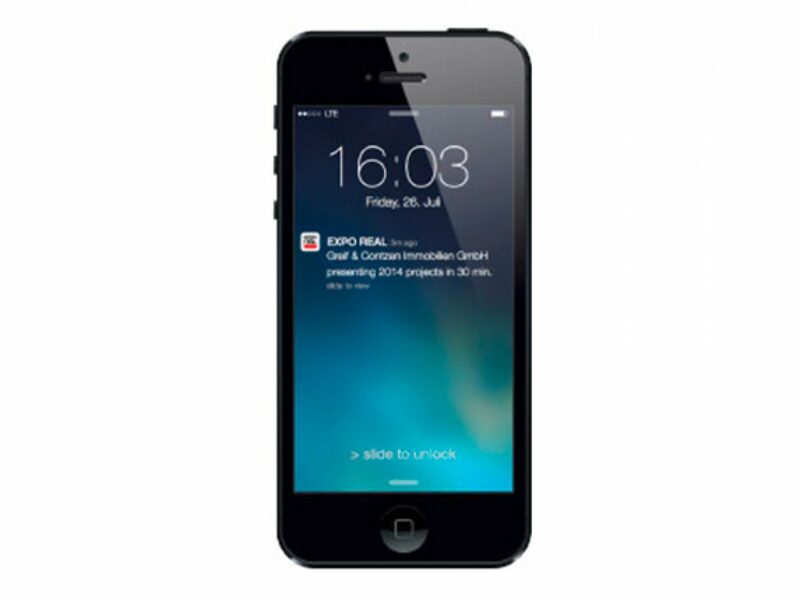 A prominent logo placement in the online catalog and in the EXPO REAL app also increases your recognition factor. 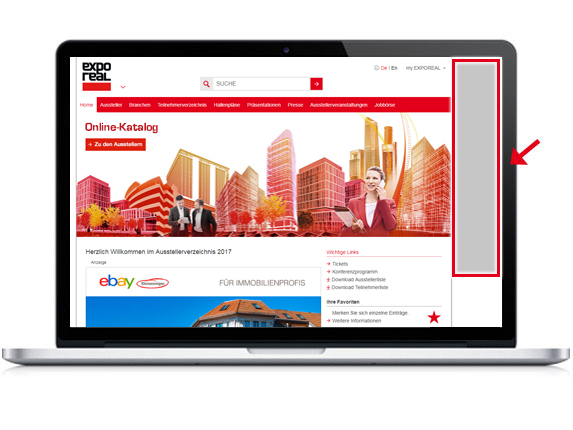 Make use of this option for attracting participants to your booth – with your logo as a quick link on the home page of the app and in the footer of the online catalog. Whatever you opt for, your new contacts are just one click away. 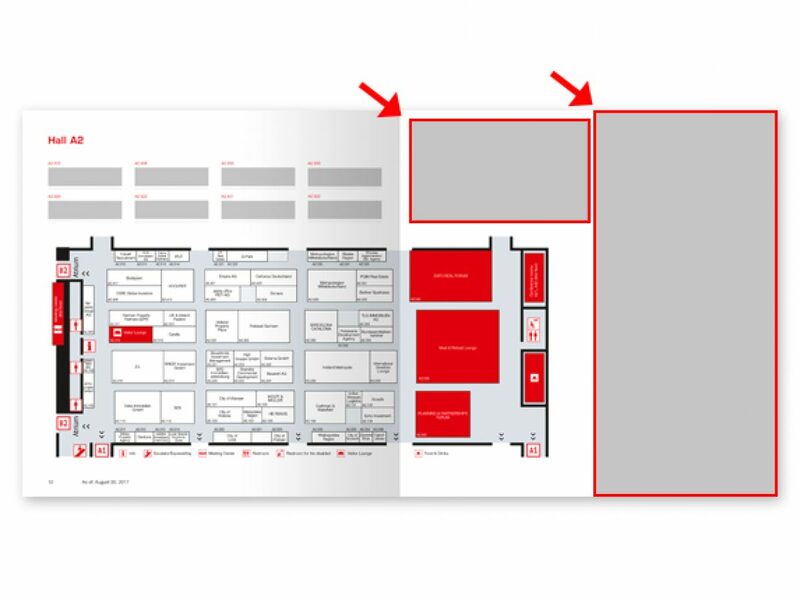 An advertising option, tailored specifically to your needs and target audience, are the exclusive hall sponsorings. 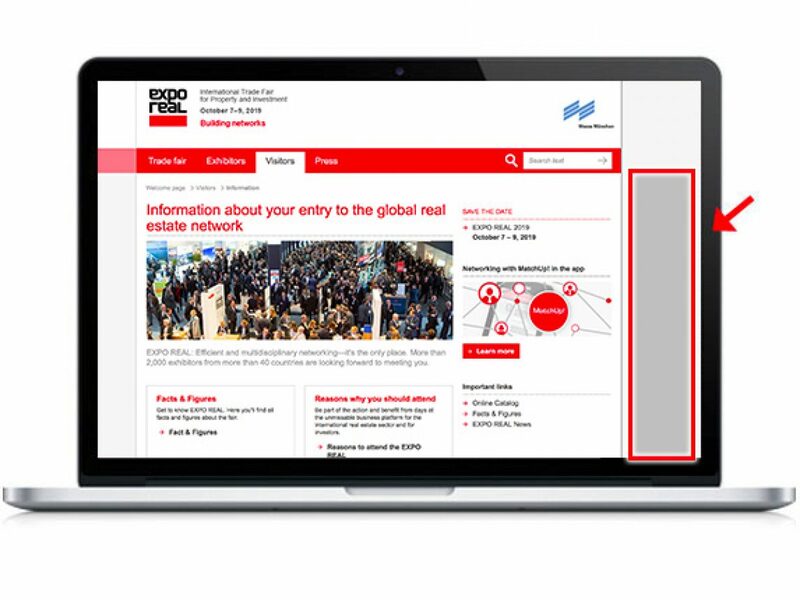 It draws the attention of participants to your company who are interested in exhibitors within your reach. Address your target group. 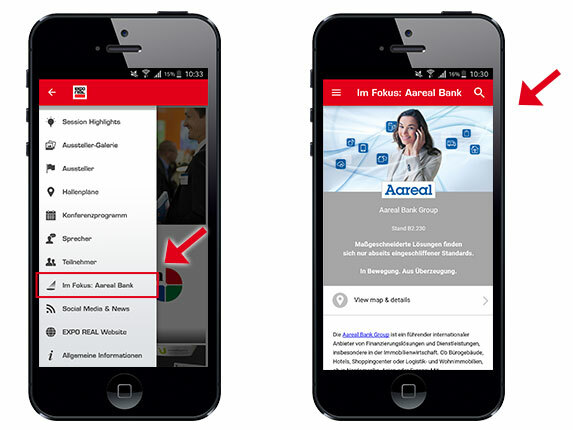 Exclusively sponsor often-used industry categories in the app! Your sponsoring will also be published in the online catalog. Your permanent banner appears exclusively in the category you sponsor. 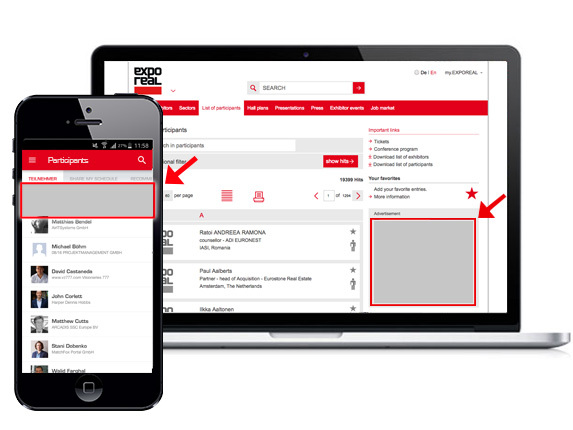 It is also published in the app’s further navigation of this category and links to your detailed exhibitor page. 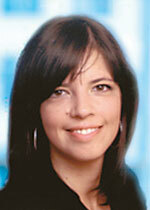 Video advertising sparks interest: Benefit from our offer to integrate your video in your portfolio in the fair media. 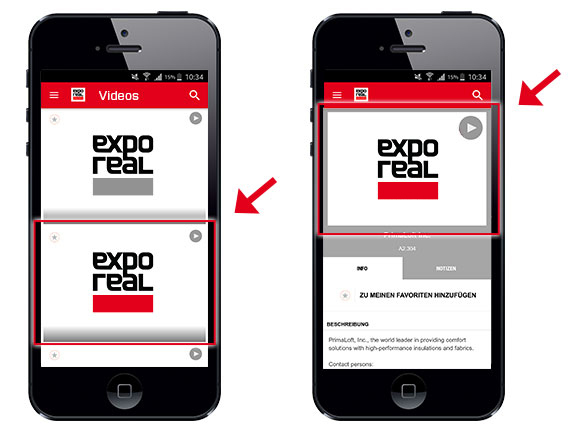 Your video appears in the online catalog and in the EXPO REAL app.